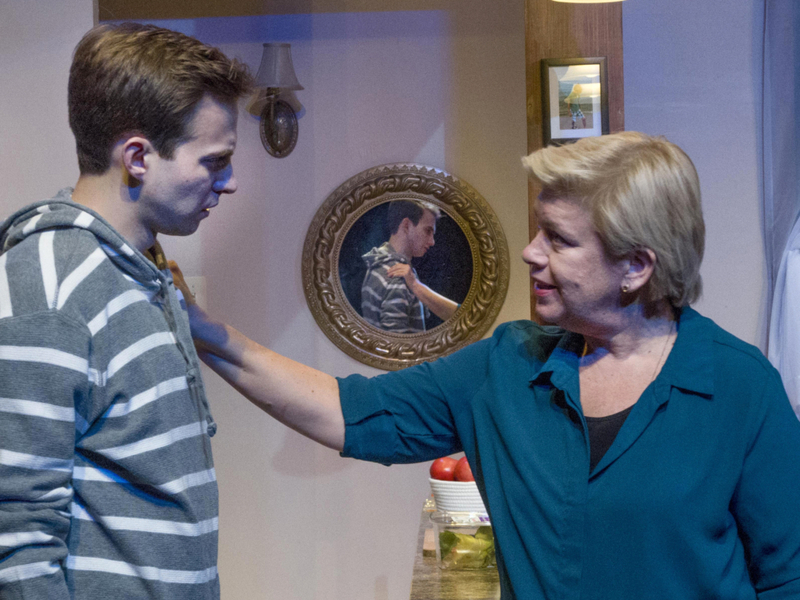 Theater Wit presents the Midwest Premiere of ADMISSIONS. The timing couldn’t be better for this insightful look into the competitive world of college acceptance. For the last few weeks, the media has spewed out the scandal surrounding celebrities buying their kids’ way into elite colleges. The general public has been scratching their heads and wondering ‘why is this a thing?’ Why would a parent pay $15,000 to a half million dollars to get their, already-privileged-set-for-life, children into a better university? 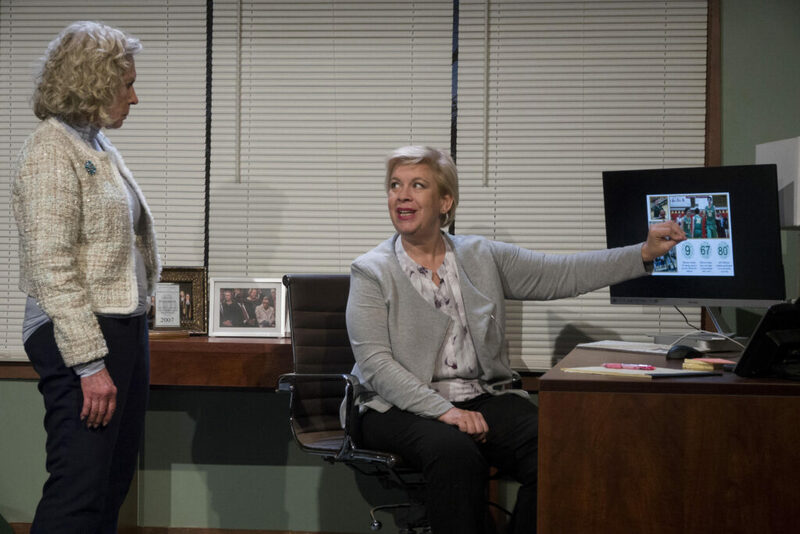 Playwright Joshua Harmon gives us a peek into the parental competition surrounding college admission. The Masons (played by Meighan Gerachis and Stephen Walker) desperately want their son (played by Kyle Curry) to get into Yale. When their friend’s (played by India Whiteside) son gets accepted, the Masons come unhinge. The family is forced to confront their own desires, bias and belief system. Harmon cleverly layers this saga with plenty of provocative details. He has the Masons working for a prep school focused on a diversity quota. Director Jeremy Wechsler masterfully navigates this superb ensemble. We become intimately aware of each person’s motivation and definition of success. Whether it’s a smug Gerachis berating a flustered Judi Schlinder or Whiteside decked out in Yale mom finery, we really get to know what’s important to these folks. This is how nice, middle class, white people fight. They show their feelings in subtle civility. Gerachis points out racial insensitivity in the lack of catalogue pictures. Whiteside casually flaunts her win by wearing branded apparel. These adults restrain their true feelings below polite exchanges. Curry, a youth grappling with his place in the world, magnificently spirals out of control… twice. First, he rants about the unfairness of his life. Later, he goes polar opposite to try to overcorrect being spoiled by his circumstances. His resolution sends his parents into crisis management mode. Although an angry Walker is ready to give up on his son, Gerachis goes from helicopter mom to bulldozer mother. Initially, she is overly worried about her son’s feelings. She tries to soothe his temper tantrum and cheerlead him to focus on his deferment. When Curry makes an impulsive decision, a fierce Gerachis takes back parental control. ADMISSIONS is a timely sneak peek into collegiate competition among parents. The writing, directing and acting is a solid A+. 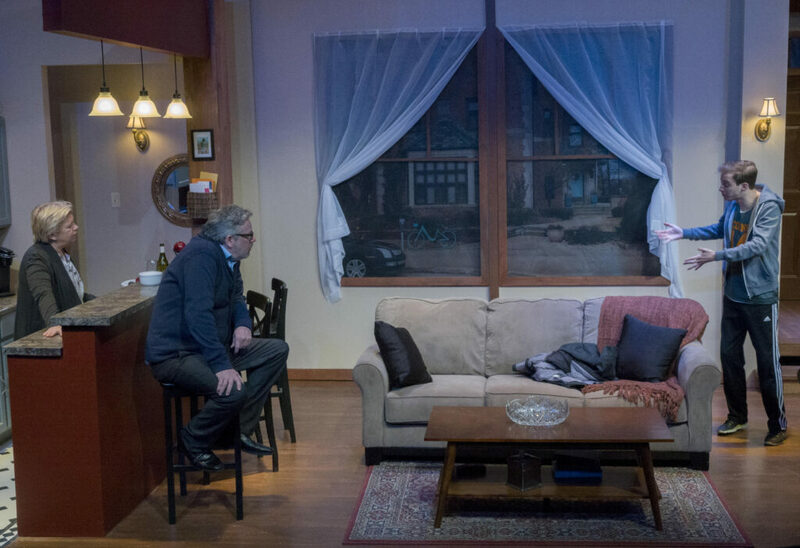 Special nod out to Scenic Designer Jose Manual Diaz-Soto for his transitional set that keeps the pacing tight.